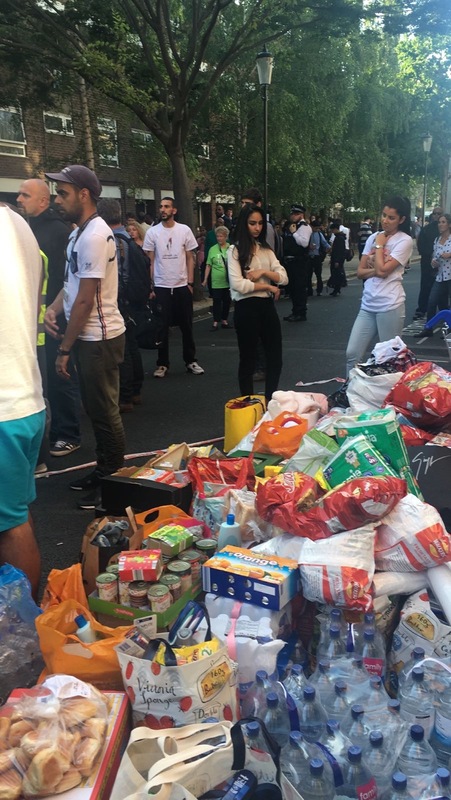 Muslim Aid is very grateful for kind donations of food, water, toiletries and other items, but we ask that people DO NOT DONATE any more items. We do encourage people to express their generosity through donations. Funds donated will be channelled towards Grenfell Disaster Victims. Muslim Aid is working with Kensington and Chelsea council towards an assessment of families' needs in the coming weeks. We are praying for those affected by the disaster and we hope lessons will be learned for the future. 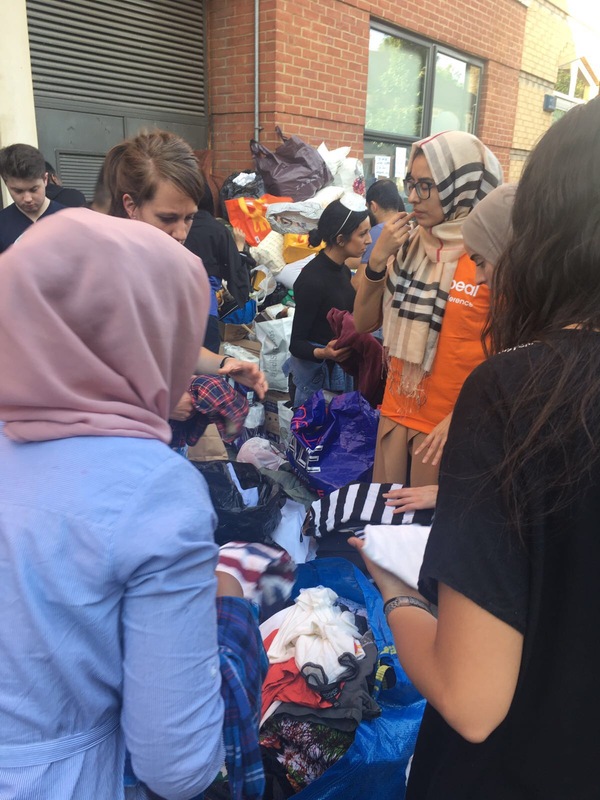 We are working with other organisations on the ground, such as Al Manaar Mosque, Latymer Christian Centre, Westway sports centre and Rugby Portobello Trust. Our staff and volunteers have been working round the clock since the morning of the fire, by providing support to families and mobilising volunteers for a long term strategy. Together with Islamic Relief, we have raised over £73,000 for affected families, and have collected over 60 tonnes of supplies. "I am shocked and deeply disturbed by the nightmare that we have witnessed, and I'm so moved by the amazing generosity and support from our volunteers," said Muslim Aid CEO Jehangir Malik today, speaking from the site. "We are conducting an assessment with the relevant authorities and will be sure to give regular updates as more information becomes available." "The mood is sombre but we have seen an amazing display of unity amongst London volunteers, which lifts the atmosphere. 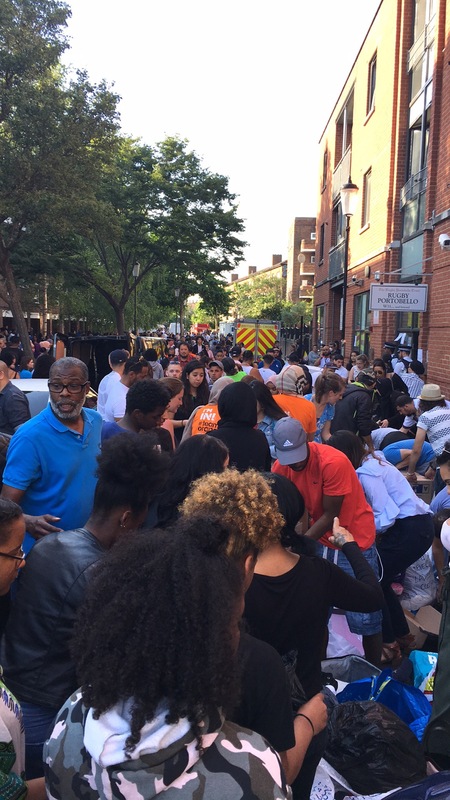 So far 41 people have been re-housed and the rest of the residents are staying with community-provided shelter or friends and family."